Crypton's quality 2-post lift is electro-mechanically operated and suitable for lifting cars, vans and light trucks up to 3 tonnes. The 2-Post lift has adjustable, asymmetrical lifting arms that swivel 180° to position the vehicle off-centre and provide optimal door clearance to access the vehicle's interior. The 2-Post lift has a baseless structure to allow you to lift vehicles from the lowest lifting point. Also, the adjustable overhead gantry offers a flexible height and width during installation. "Our local garage equipment distributor Diagnostics 2000 recommended we used Crypton due to the need for a strong sturdy 2-Post lift. The installation went very smoothly. The engineer made a neat and tidy job of the installation and was very knowledgeable in answering any of our questions. After using our new lift a week now, we are finding the quality is very good. It operates quietly and smoothly and has very little movement with a large sized vehicle whilst it's being worked on. We would consider buying Crypton again." "One year on, all three 2-Post lifts are still going strong and used everyday." 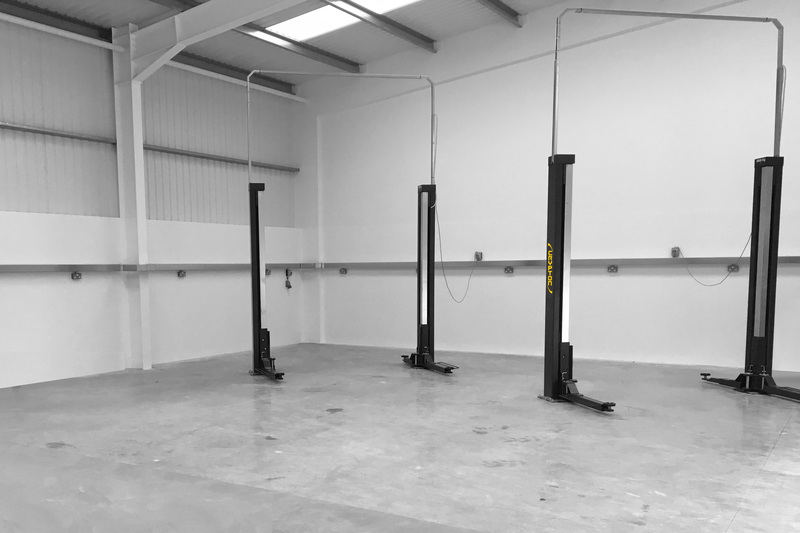 "After investing in Crypton's 4-Post MOT bay a year ago, I didn't hesitate in contacting Crypton to supply me with a couple of service lifts. With a low height to my garage, Crypton's 2-Post lifts gave me the flexibility with it's adjustable height ability during installation." Contact our expert team with your 2-Post Lift enquiry.